At the top of every page you will find the Author Menu Bar. Please click on the “Register” link to take you to the registration page. You will be asked for some basic information to create your online account. After you have registered you will find a Login link in the top header menu bar. This is also where you can reset your password if you like. When you are logged in you will have access to the Article Submittal Page. Please keep in mind that you have the ability to create links, include photos and format with the text editor. The Featured Image will be included at the top of each post and as the primary photo when posting to social media. When you click the “Submit” button the article’s status will be Pending until such time as an Editor has had the opportunity to review and publish it. This is where you have access to all previously published articles. Again you will find the Author Dashboard link at the top of each page. Under the Author Profile section you can update your bio and update your photo or avatar image. 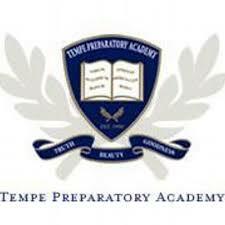 Signing up for the Tempe Prep Newsletter is a separate process than becoming a Contributor. When you signup please confirm through the email that will be sent to you. Newsletters will include all published articles between when the last one went out and the newest one. Articles will be sorted by publication date with the most recent one at the top. Please fill out our Contact Us form and it will be sent to both the site administrator and editors.